What have we done for business? Since the early 21th century, a great change has begun in China which every industry was impacted by e-commerce explosion. Company, they started to re-think the business channels in mainland china whether it worked or not and tried to build up the high efficiency e-commerce platform in a very short time. As usual, big challenge brings big opportunity, you want to extend your business in China? Sound good, however, the questions is : DO YOU READY FOR IT? Coming up with the development of new electric device, more and more interactive interface comes up to normal customer in these years. 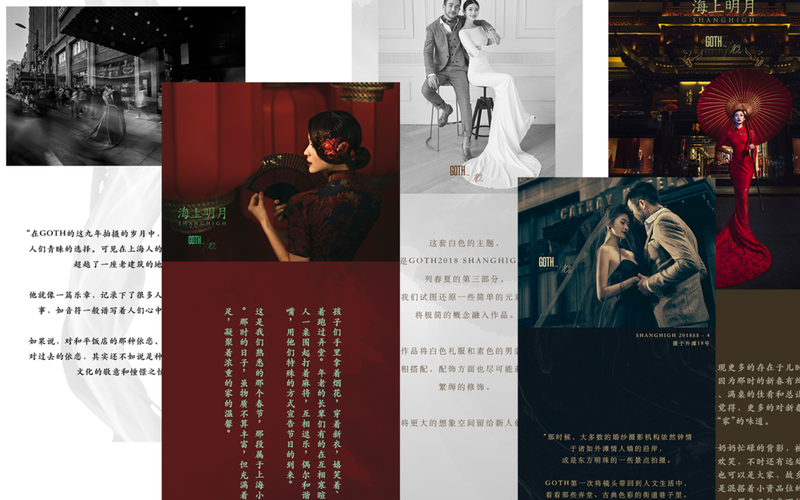 Goth image is a wedding shooting company bases on Shanghai since 2008, with rich experience and premium quality they present to public, they are becoming to be a top level service agency in China. Since 2016, Goth started to begin setup their online social media platform in WeChat app to expand its influence officially. With 2 years excellent corporation with 9 LINK DIGITAL, now it has almost 12K follower &gets branding attention by over 250K readers per month on line. Fusce dapibus, tellus ac cursus commodo, tortor mauris condimentum nibh, ut fermentum massa justo sit amet risus.